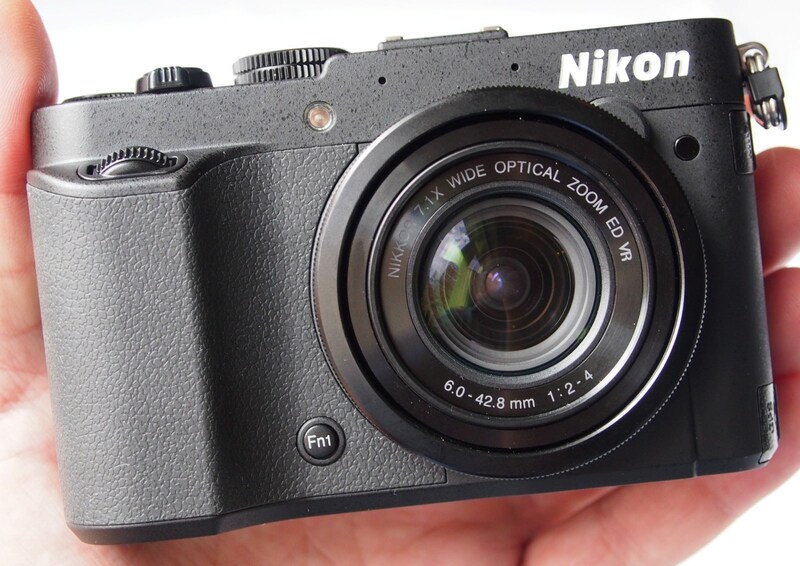 We go hands on with the new Nikon Coolpix P7700 - the new serious compact, with a bright f/2.0-4.0 lens. The Nikon Coolpix P7700 features a vari-angle screen and a brighter f/2.0-4.0 lens when compared to the f/2.8 - 5.6 on the Nikon Coolpix P7100, although it does have the same 7.1x optical zoom range. The new model has a 12mp 1/1.7 CMOS sensor (instead of the CCD sensor on the last model) and features 8fps continuous shooting. The Nikon Coolpix P7700 is slightly more compact than the P7100 with the added bonus of the larger, brighter and better lens. The camera has a large hand grip at the front and numerous external controls that make it quick and easy to make setting changes. Unfortunately, the model on display was a non-working sample, so we were unable to take any photos or play with the camera's menu system. However, we will be putting the camera through a full test when working models become available. The camera is priced at £499.99 and is available in black from 27 September 2012. For more information about the camera, take a look at our news story. looks like this is a very good backup camera, lots of buttons and dials around the camera for manual control and no OVF. Also lens seems to have a decent range with relatively fast aperture.